Benchen Arya Tara Ling is a place for women to practice and study the Dharma in the Benchen tradition. The project has been developed in order to fulfill one of the last wishes of the Vajra Master Kyabje Tenga Rinpoche who passed into Parinirvana on March 30th 2012. The blessing for the project and the name for the nunnery “Benchen Arya Tara Ling” has been kindly given by Drubwang Sangye Nyenpa Rinpoche in Pharping on June 10th 2012. 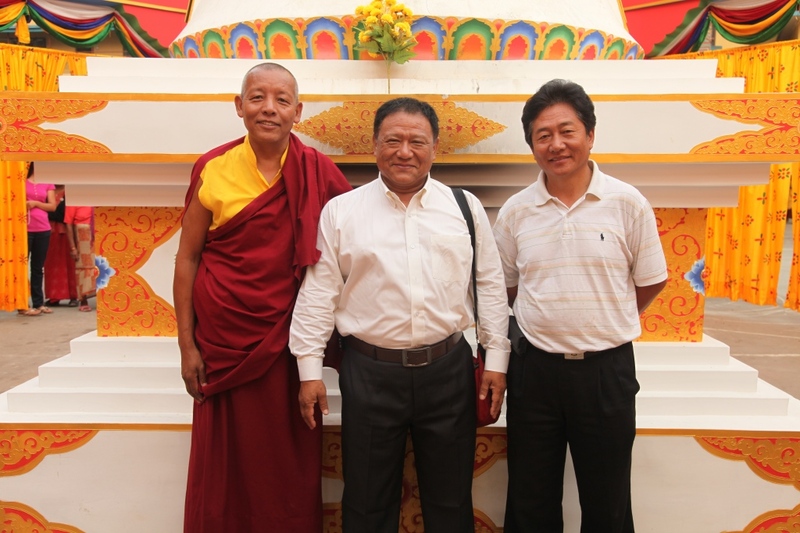 The construction works has been mainly overlooked by one of Kyabje Tenga Rinpoche’s main attendants Jimba Lodrö, supported by Tenpa Yarphel and Lama Lekshe. The construction works has been succesfully finalized in Spring 2018 and the nunnery is now inhabited by the first nuns. The further support of the project depends entirely on the finances to cover the daily expenses of the place and its inhabitants. This lies in your hands. Every donation is welcome very much!